Take your gear anywhere, rain or shine. Tonneau covers are designed to protect your load, easily adjust, and look great doing it. 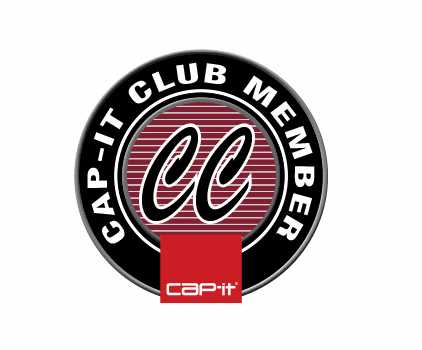 Cap-it stocks hard and soft cover products from Extang, Bakflip, Truxedo and Leer that can roll up, fold up, or lift up. Did you know tonneau covers can increase fuel economy because they reduce wind resistance while you drive? Save money and keep your gear safely under lock and key, while making sure your truck is still gaze-worthy. Our Cap-it branded F-Type and V-Type covers are made exclusively for Cap-it by Bak Industries, our preferred manufacturer for premium, industry-leading tonneau covers. Weather resistant and stylish, buying one will protect your gear or tools, keep the rain out of your truck bed, and help you drive smoothly and more efficiently. Hide valuables and lower temptation for thieves with a tonneau cover. Protect your investment and improve your aerodynamics at the same time! Whether you’d prefer a load-supporting cover or a soft one, Cap-it has a number of options that are perfect for your vehicle. Try our Cap-it brand tonneau covers, or choose from Bakflip, Undercover, Truxedo, Roll-n-Lock, Extang, Bestop, and Pace Edwards. Sleek, secure, and easy to install, your neighbors are going to wish they had one, too.